This set includes 3 stiffnesss of barrel spring which give your chassis progressive damping, i. e. more resistance the further they are compressed. This gives a smoother off-road ride and better handling of roll. Colored bands show spring hardness. 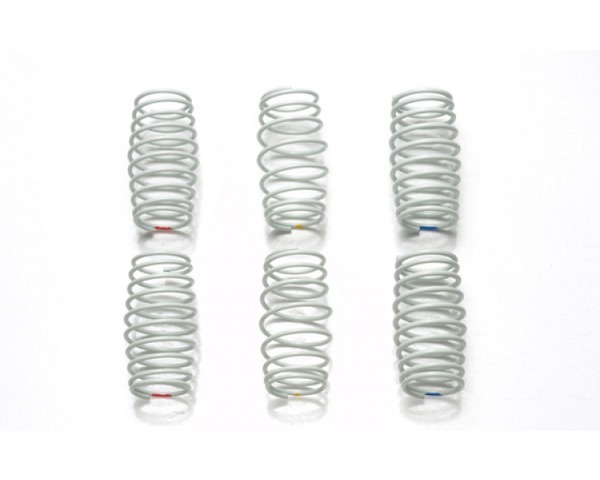 Soft Barrel Spring x2Medium Barrel Spring x2Hard Barrel Spring x2Compatible with CC-01 chassis cars.